We can’t all live in Mr. Roger’s neighborhood, which is exactly why sometimes in order to make a point to the guy next door who won’t clean up after his dog you need to deliver a very carefully worded reminder. 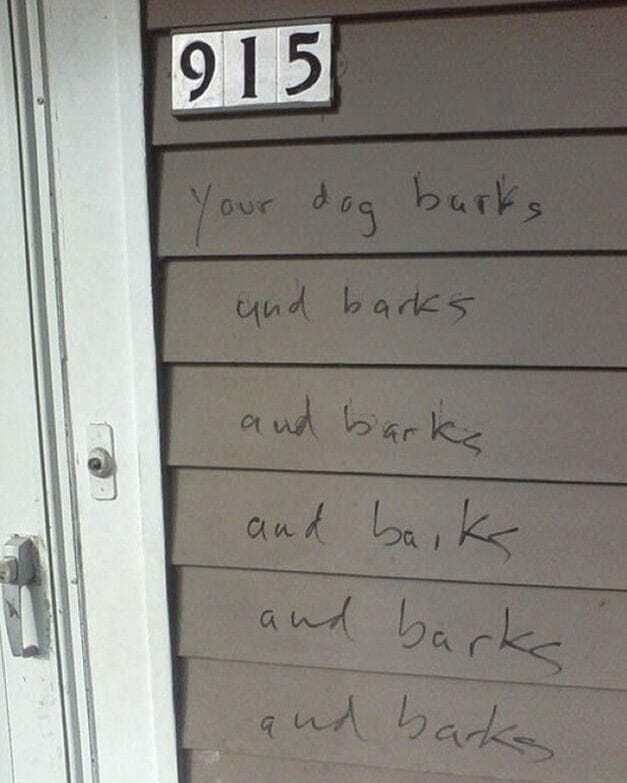 Living next to a neighbor who keeps a cheerfully yappy dog that loves to vocalize must be pretty challenging, but leaving them a message that says “your dog barks, and barks, and barks…” doesn’t make much sense — it’s a case of pointing out the obvious to someone who probably doesn’t care.. The real question is what they can do to try and keep their dear four-legged friend just a bit more quiet so that everyone can enjoy their pleasant evenings and lovely mornings in peace.